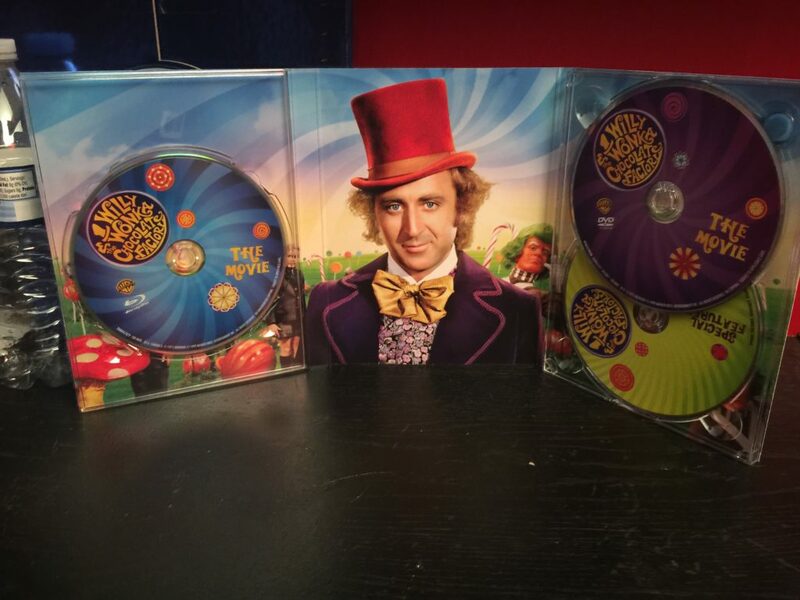 Willy Wonka & The Chocolate Factory - Blu-ray Review - ReDVDit! 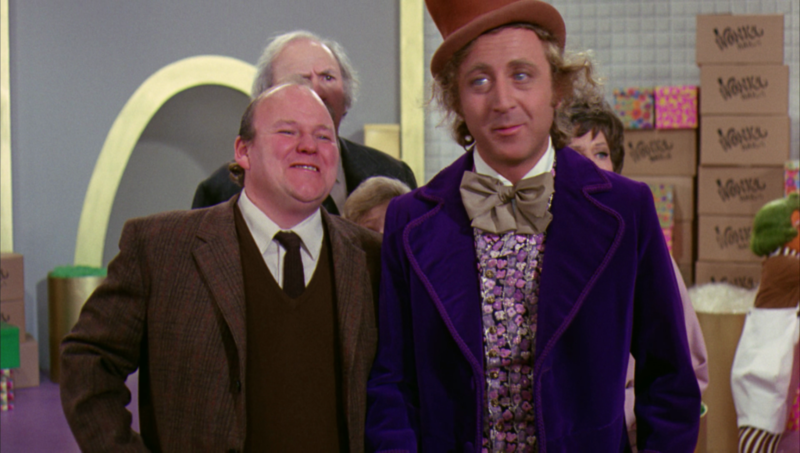 Now, 45 years after its initial release, Willy Wonka is considered one of the greatest family films and musicals of all-time, right up there with The Wizard of Oz, which many film critics compare it to in terms of its cultural impact and historic relevance. Gene Wilder plays the titular role of Willy Wonka, and of all of Gene Wilder’s extensive catalog, Willy Wonka is his best work and the one that he will be remembered by forever. His command of the character, his undying wit and interactions with the children of the cast, and his musical performances are an excellent example of his range and ability as an actor. If you need more evidence of how great Wilder was, go watch the 2006 Tim Burton-Johnny Depp version of the same story. Actually, better yet, don’t ever watch that version and just take my word for it; Wilder is the only owner of that role. 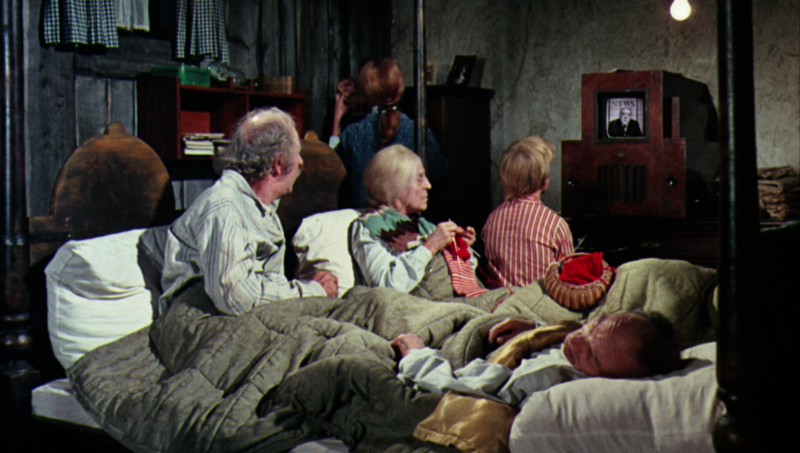 The biggest thing with Willy Wonka is the impact that it has had on just about any child born in the few years before and any year after 1971. Everyone knows the songs, the Oompa Loompas, the chocolate, and the terrifying acid trip that takes place midway through the movie and traumatized generations of unsuspecting children, who never tell their own children and watch in delight as they cry in terror. Yeah, that part really got me too. As we remember Gene Wilder, it is important to revisit some of his greatest roles and introduce the next generation to his work. There is absolutely no better starting point than with Willy Wonka, which is simply a timeless classic. So much so, that the Library of Congress deemed it culturally significant enough to catalog; the highest honor any film can earn in my mind. Words cannot truly express how this film has impacted me personally, but even now, after not having seen it for years, I find no trouble sitting down to a complete viewing and enjoying it as much as I did the first-time around. 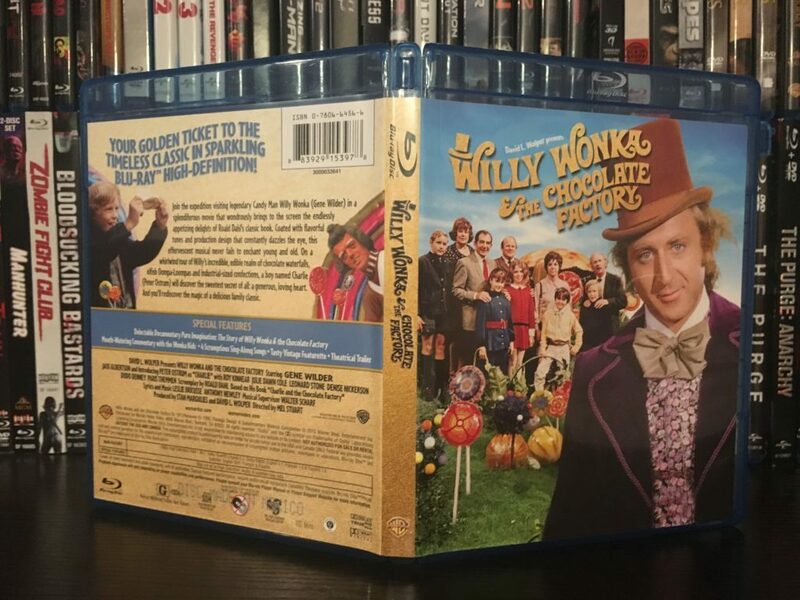 Willy Wonka & The Chocolate Factory is a film deserving of all of the highest scores available, and if you are looking for a way to remember the great Gene Wilder, look no further; this is your golden ticket. As great as the film is, unfortunately the video quality is fairly rough. This is not a knock on the Blu-ray transfer though, as many of the imperfections and issues came from the initial filming. 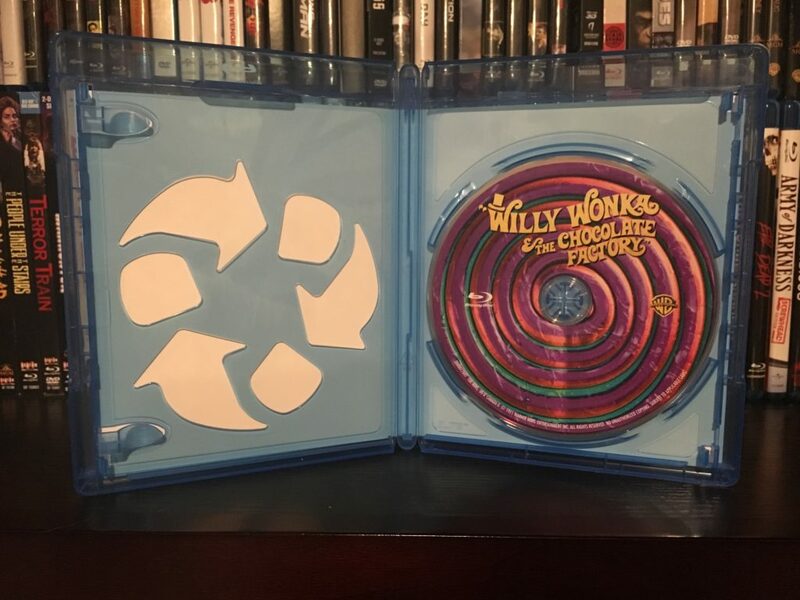 I always remember Willy Wonka being fairly rough on any video format, and so I was not surprised to see that the Blu-ray was only a slight improvement. To be fair, the movie has never looked better, but the Blu-ray is still just putting lipstick on a pig. If there was ever a movie that could use a new restoration, carefully re-constructed from its original source, it is Willy Wonka. 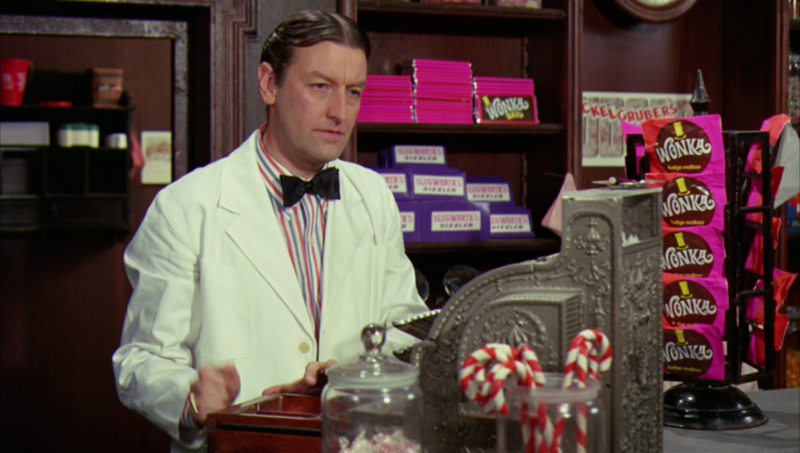 The biggest issue with Willy Wonka is the color scheme, which has a sort of strange, orange tint to it, never looking just right. As orange as the Oompa Loompas are, Wonka himself can look a bit like he had a bad spray tan at time. It is not strikingly noticeable, but it is an issue that probably can only be adjusted from the source, as I am sure it originated during filming rather than in a transfer. The grain of the film feels appropriate for the time period, and although some shots look a bit messier than others, for the most part the clarity is solid. I can recommend an upgrade over DVD, because it truly is the best this film has ever looked, but it will not be as drastic an upgrade as some other older movies just due to the source material that is available. 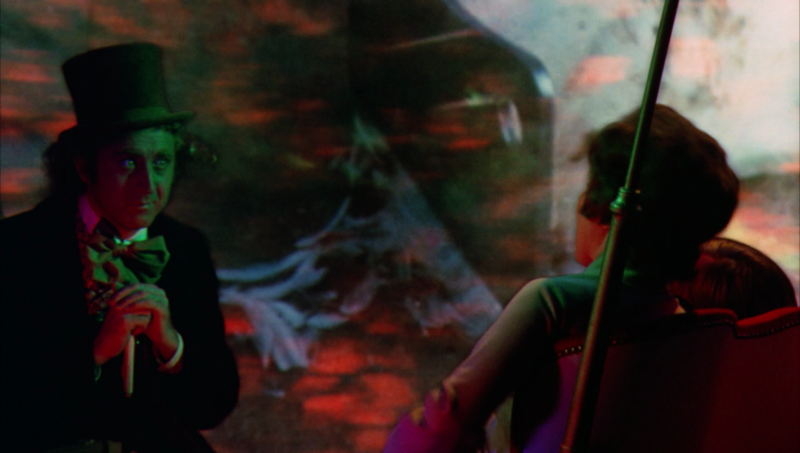 Thankfully, the audio is much better than the video on the Willy Wonka Blu-ray, which is so important for a musically driven feature like this one. The Blu-ray sports a solid Dolby TrueHD 5.1 audio track, which evenly distributes the audio elements of each musical sequence with ease. The dialogue is strong, and the ambient noise plays out well over the rear surround speakers. 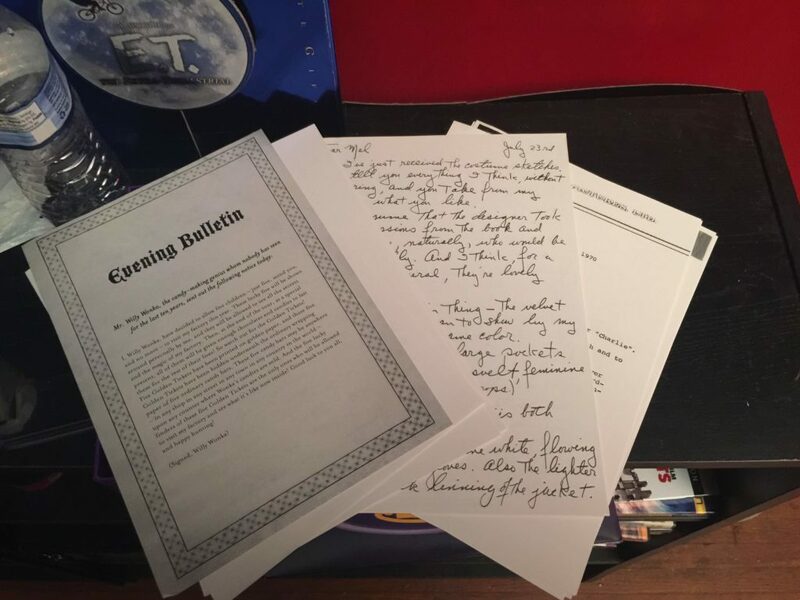 It is difficult to give a score for the packaging on this release because there are so many options, but I do give it a high overall score for the total amount of unique options that are available to collectors. First off, there is a simple eco-case standard edition, with one Blu-ray disc, and no DVD or Digital Copy. There is some nice artwork on the disc, but other than that it is pretty barebones. For special features, it has a nice 30 minute feature full of interviews with the cast, a commentary from the “kids” (now adults), and a sing-along and theatrical trailer. Unfortunately, all of the features are presented in 480p standard definition. There is a special edition digibook, which features the same disc and special features as the standard edition, but comes packaged with some essays on the film and behind the scenes photos. This is a nice option for those who do not want the bigger box set, which is next. 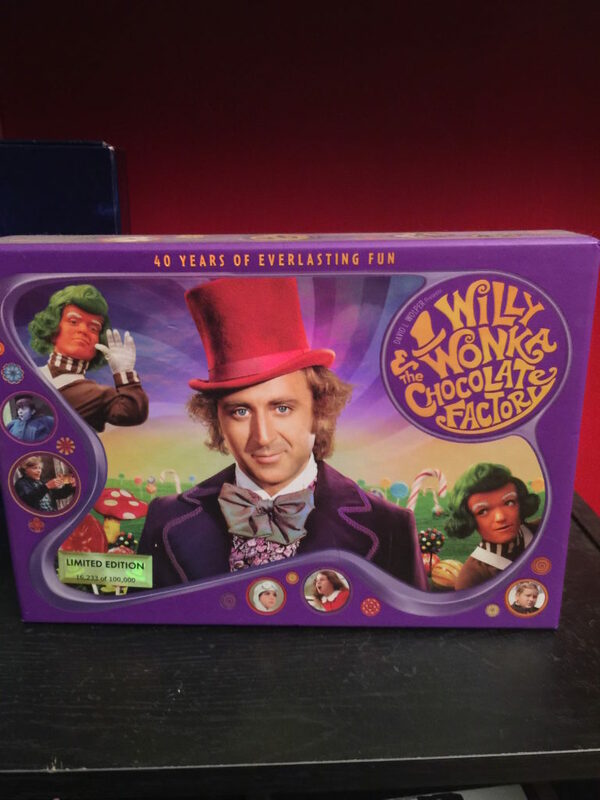 Warner Brothers has a nice history of releases limited edition box sets of classic films, like JFK, Gone With The Wind, and The Wizard of Oz, and they have given the same treatment to Willy Wonka with the now out-of-print 40th Anniversary Collector’s Edition box set. 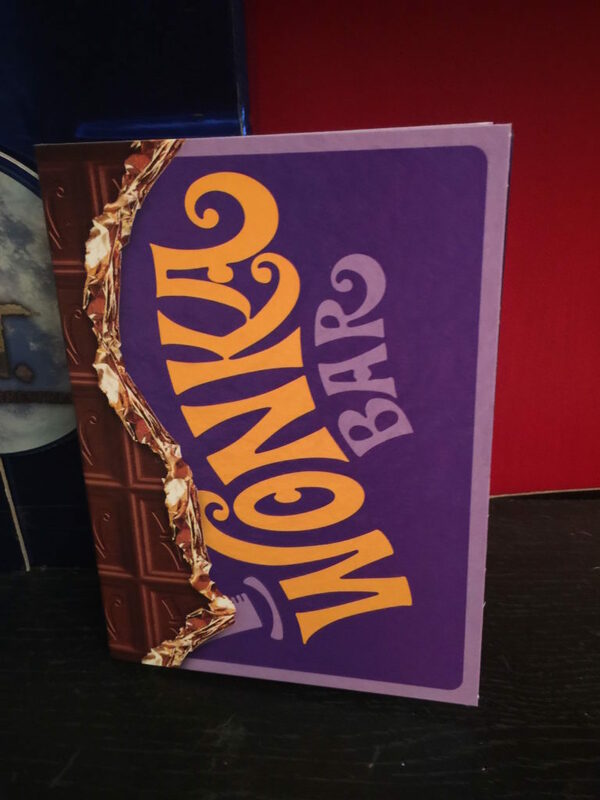 This set features replicas like the Golden Ticket and a Wonka Bar, a 144 page book of “Pure Imagination” which is a look into the making of the film, as well as some other pieces of memorabilia. The only additional special features include a new interview with director Mel Stuart, and a short “making-of” featurette that includes an interview with author Roald Dahl, who wrote the original story that the film is based upon. Again, all the features are in SD 480p, so you are really buying this set for the unique packaging, props, and the 144 page book. All in all, it is still the best way to own the movie. 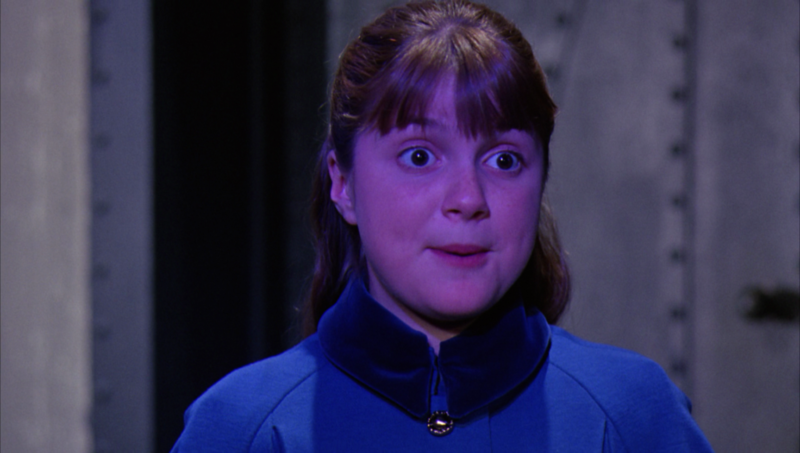 What more can be said, really, about how great Willy Wonka is. Sure, the Blu-ray is not a great visual marvel, but it is still an upgrade over the DVD, and if this is a hole that you currently have in your collection, you should fill it immediately with a purchase. The standard edition can be found for $7-$10, with the digibook going for around $20, and the now out-of-print box set going for over $100. However you make your purchase does not matter, but make sure that you do it. There is no finer example of Gene Wilder’s abilities than in his role as Wonka, and Willy Wonka is a cinematic classic that should be shared with each generation to come. If you have kids who have yet to sit down and watch Willy Wonka, what better time to do it than now. 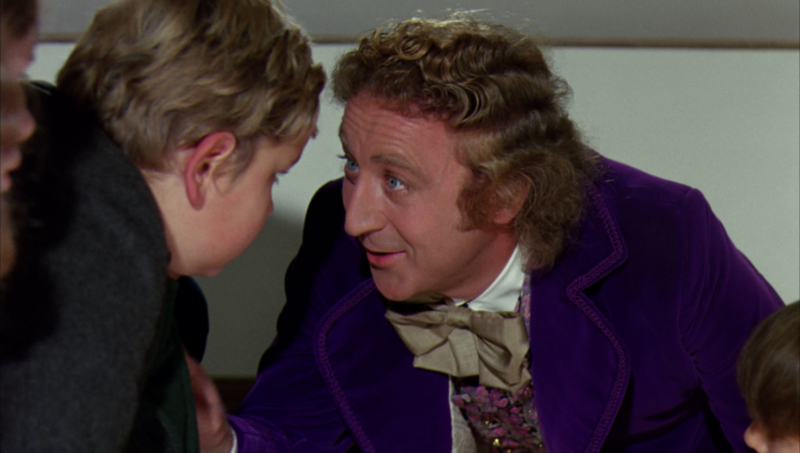 I highly recommend adding Willy Wonka to your collection, in any capacity, and a Blu-ray purchase would be the best available way to view the movie at this point in time.